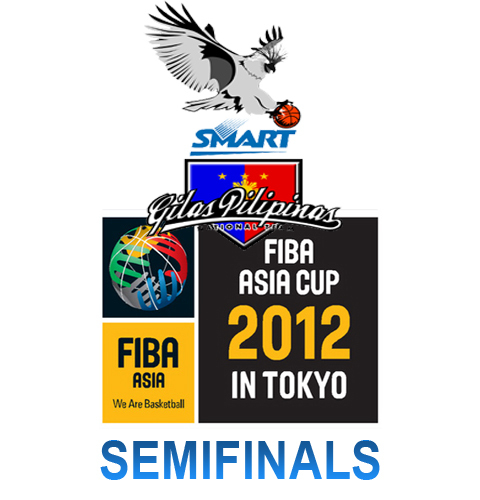 This is the semifinals game match of Smart-Gilas Pilipinas II in FIBA Asia Cup 2012. They have faced in the hard court the undefeated team yet in this tournament, team IRAN. Iran's game standing in the preliminary round is 4-0 (win-loss), which means that the team haven't been beaten once in this tournament. On the first quarter of the game, Philippine team manage to lead a 1 point edge against the opponent, however, the battle on the second quarter have been rough and tough. Gilas made a three 3-point shot on the second quarter that is why the score of two teams ends as a tie before the quarter ends, 30-30. On the third quarter of the game, Iran made a heads up in their score, weighing a 7 points leads against Gilas II. Our team really got a hard time competing in today's game match against team Iran. As coach Reyes said before this game started, “We can’t beat Iran playing the way we did today.” Referring to what Gilas II have performed in their face off against Chinese Taipei in the quarterfinals. The third quarter ends up with a score of 53-47 with Iran's lead of 6 points against Gilas II. In the fourth quarter, Iran manage to increases their lead against Smart Gilas by 15 points in the first 2 mins of the last quarter, making many online Filipino viewers sad and disappointed even before the match ended. With a score of 77-60 (win-loss), team Iran took their win against Philippines in FIBA Asia Cup 2012 Semifinals, which means Iran will be the one playing for the Finals of this tournament. Philippines will still play to win the 3rd place of this tournament against who ever wins on the last game match of this day. So we have to support them all the way, please do share this post to your friends on Facebook, Twitter, Google+ and Pinterest for them to be updated of what is the latest on FIBA Asia Cup 2012. Comments or suggestions about "Smart-Gilas Pilipinas loss against Iran in FIBA Asia Cup 2012 Semifinals" is important to us, you may share it by using the comment box below.